It’s time your sports business started effectively tracking your finances with an accurate budget, key tracking tips and overall evaluation strategies that lead to effective results and growth! Before you can track your financial progress, you need to know what you’re working with! 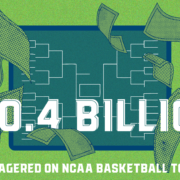 An accurate sports business budget may be one of the most important plays in your playbook. When creating a budget, it is always better to underestimate your potential business income, than to overestimate your spending allowances. Building a budget in advance will allow you to manage cash flow, which is one of the most challenging aspects of being a business owner. TIP: Get the Upper Hand through effective budgeting using our free budget template! Now that you know what you can spend, and what you need to make in order to grow, let’s talk about tracking the results! There should be more to your business plan than simply knowing whether or not you are breaking even. Payment collection is so important to managing accurate finances, and it can be difficult if you are manually recording cash and checks given to you the day of an event. Consider an effective online registration process to make sure your clients transactions are accurately processed and recorded. What type of event is bringing in the most revenue for your business? What is the least successful type of training? Once you know what type of training is generating the most revenue, you can allocate your time accordingly. See how individual trainers and coaches are impacting your bottom line by comparing the revenue from their individual classes and lessons. When you offer long term payment plans, see if there is a positive correlation to parents who are spending more money or returning to register their children for more events. If so, maybe you should encourage more parents to utilize a payment plan or offer memberships. It can be tempting to assume that discount codes bring in new customers or additional spending, but be sure to track the use of these codes. Are the clients using these discounts new or returning? If it is only your loyal clients using these codes, consider what value this is adding to your business. 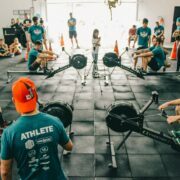 Are codes encouraging parents to register children for additional events and training, or are discount codes merely cutting back on your profits? You know what to track in terms of your event outcomes, but don’t forget to make adjustments accordingly. The purpose of tracking these academy sports financials & results is to make more advantageous business decisions based on proven results, so don’t be afraid to make some strategy changes. In addition, tracking these results and trends will allow for a more accurate budget and financial plan in the future.